Get ready for the next-generation all-in-one retail solution from HP. Sleek, stylish, and able to effortlessly integrate into your current environment, the HP RP7 Retail System can be customized for everything you need and nothing you don't. Get ready for the next-generation all-in-one retail solution from HP. 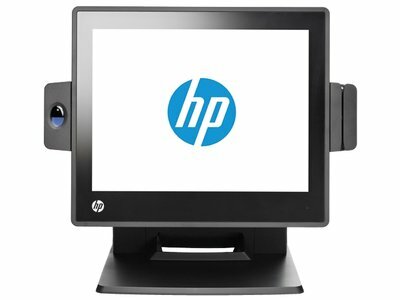 Sleek, stylish, and able to effortlessly integrate into your current environment, the HP RP7 Retail System can be customized for everything you need and nothing you don’t. Enhance your store image with the modern, space-saving HP RP7, which has all the capabilities of a traditional retail solution and a sleek design that effortlessly fits into retail and hospitality environments. Versatility to meet your needs. The HP RP7 is retail-hardened for use in ambient environments up to 40°C. The steel chassis, on-board monitoring and alerts, and environmental and shock testing stand up to the long term wear and tear of retail environments. Add this device to your office Ethernet network to share with your workgroup. Keep data, networks and communications protected from threats. Certain restrictions and exclusions apply. 1 Accessories not included, and sold separately. 2 Projected capacitive technology is available on 15-inch and 17-inch displays; resistive touchscreen is available on the 15-inch display.